Today’s travels in northern Israel took us to Lake Hula (migratory birds pass through here, to and from Africa-Turkey) and then past Abel-beth-maacah (see 1 Kings 15:20) to the border of Lebanon. 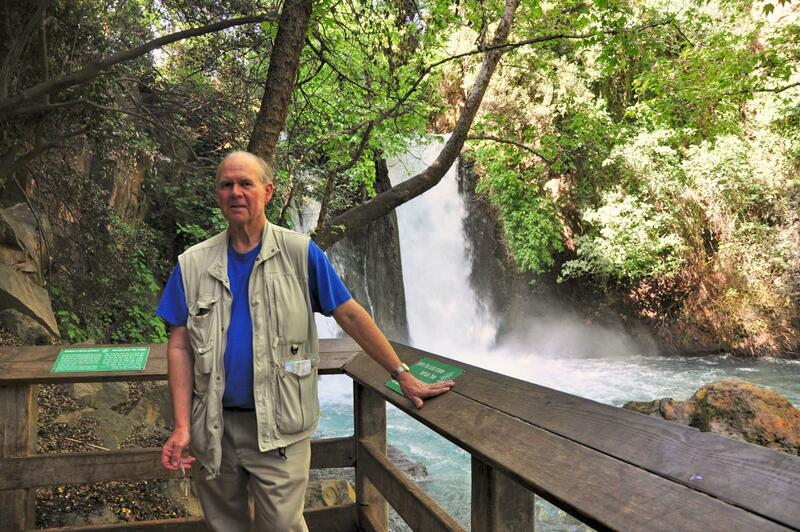 We also saw the Senir River and Banias River, two of the main sources that converge to form the Jordan River. The Banias Spring emanates at Caesarea Philippi. Downstream from there are the Banias Falls. Banias Falls near Caesarea Philippi. One of the major sources of the Jordan River. This entry was posted on Monday, April 11th, 2016 at 2:00 PM and is filed under Bible History and Geography, Bible Study, Caesarea Philippi, Israel, New Testament, photography, Travel. You can follow any responses to this entry through the RSS 2.0 feed. You can leave a response, or trackback from your own site.